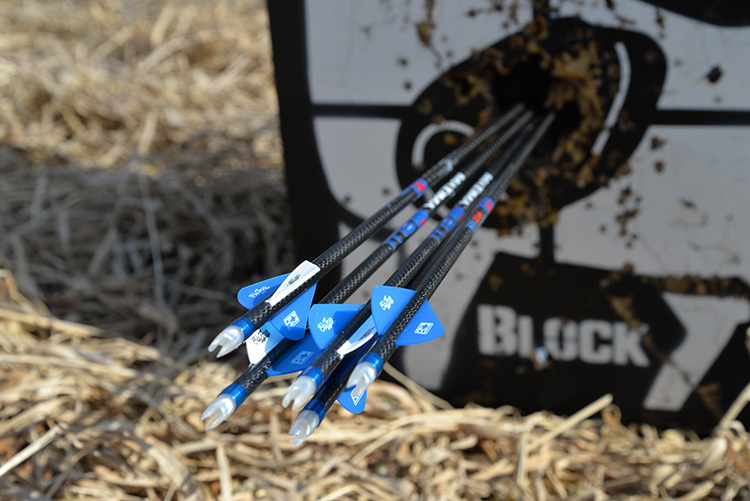 Follow these five simple steps to dial in your bow-shooting accuracy and tighten your groups right now. Tightening your shot groups is a combination of finding a bow that fits your measurements and perfecting your technique. Watching an accomplished archer shoot a bow well is like watching a pro golfer make a perfect chip shot. Both shots look nearly effortless when done right. And while it’s true that in any given bow shot there isn’t much effort required, to hit what you’re aiming at over and over requires a near-limitless amount of practice. Even that’s not enough, however, because unless you have every aspect of your gear and your form dialed in, you’ll never shoot as accurately as you might. This has been fodder for plenty of books, which means shooting your bow accurately (and with repeatability) is no small topic when broken down to a granular level. 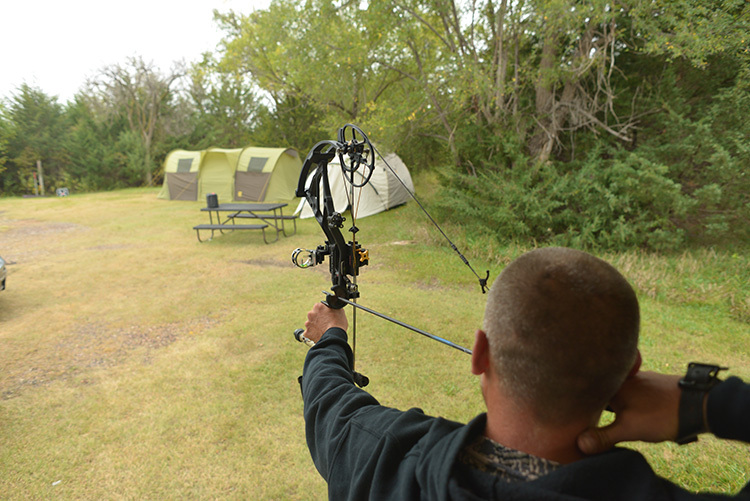 Fortunately, it isn’t hard for the average target archer or bowhunter to take their shooting to a new level of accuracy. Here are five ways to tighten your groups and wring the most enjoyment out of watching arrows head downrange. Long before you ever consider becoming an Olympic-caliber shooter, you must have a bow that is set up for your physical specifications. This means that you need to know your draw length, and you need to pull a comfortable draw weight. If either of these variables isn’t dialed, you’ll never be as accurate as possible. If your bow doesn’t fit perfectly, enlist the help of a pro shop employee to help set up your target or hunting bow to your exact specs. When it comes to draw length, a deviation of even half an inch will degrade your shooting form and reduce accuracy. You can measure this yourself, but a better bet is to visit your local pro shop and have a bow technician measure your draw length. Then ask them to watch you shoot a few practice arrows. If your draw length is too long or short, they’ll be able to remedy it. If your form is off, they’ll be able to offers some tips on how to hold properly throughout the draw cycle. When it comes to draw weight, if you’re shooting a compound bow and can’t draw it without raising your bow arm and aiming at the clouds, you’re pulling too much weight. Back it down so that you can draw straight back to your face without any struggles. 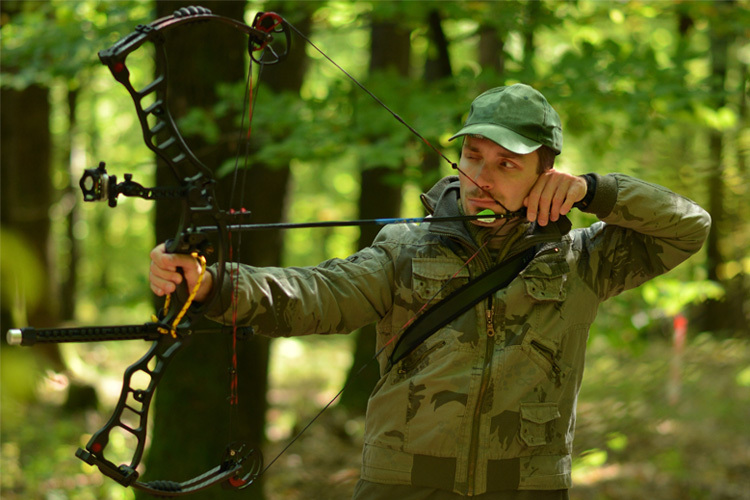 If you shoot traditional bows, the same rules apply when it comes to struggling. 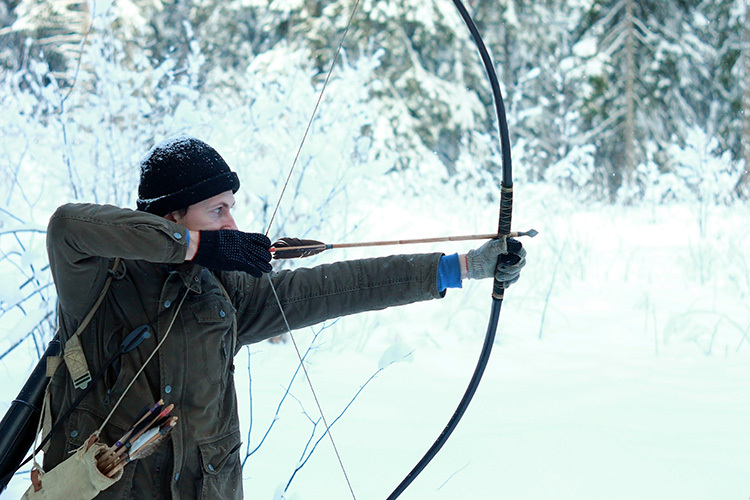 You should be able to move through your draw cycle with a recurve or a longbow in one smooth action. 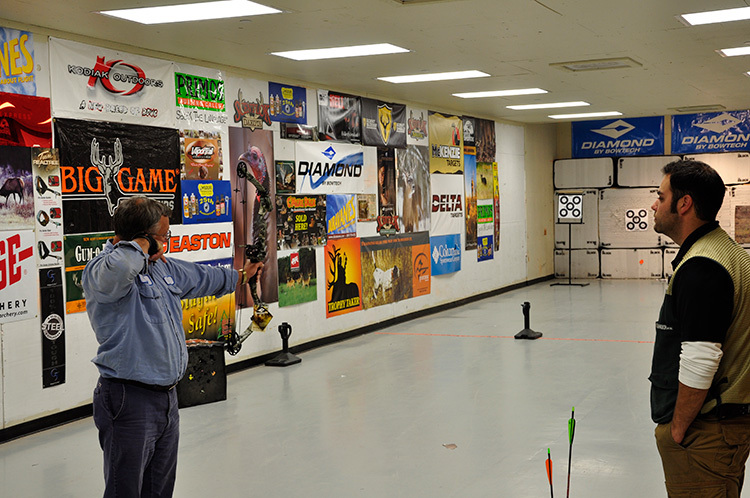 If you’re not happy with your shooting or believe it could be better, address bow fit first. 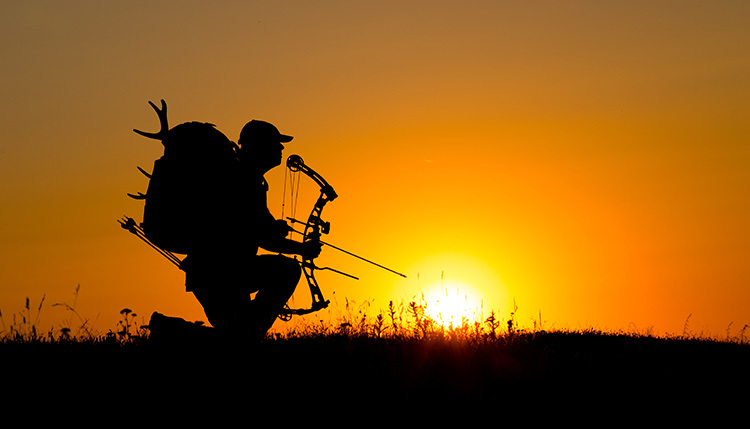 Quick tip: When it comes to draw weight, if you’re shooting a compound bow and can’t get it drawn without raising your bow arm and aiming at the clouds, you’re pulling too much weight. Back it down so you can draw and anchor in one smooth motion. An anchor point that incorporates several reference points is the best way to ensure a repeatable and consistent shot cycle every time, which translates directly to better shooting. 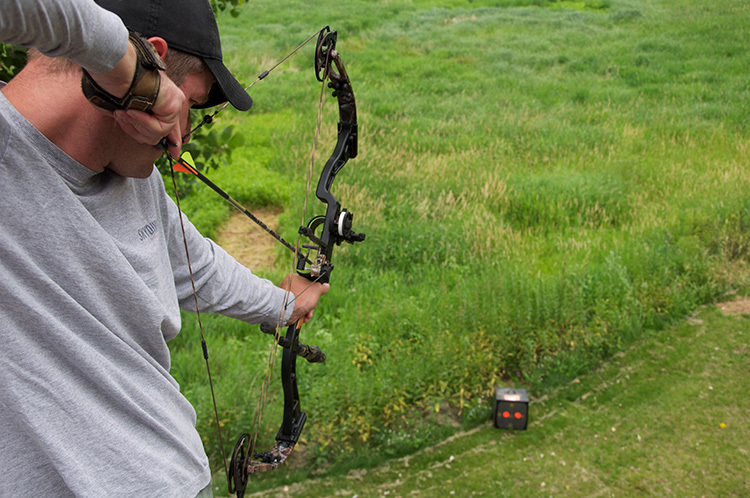 Shooting accurately with archery tackle requires good form that is repeatable. This starts with establishing a solid anchor point. The more points of reference you can utilize when you’re at full draw, the better. Many shooters like to dig a specific knuckle in behind their jaw bone or tuck a knuckle into the corner of their mouth Most compound shooters also touch the string to the tip of their nose as a secondary reference point. 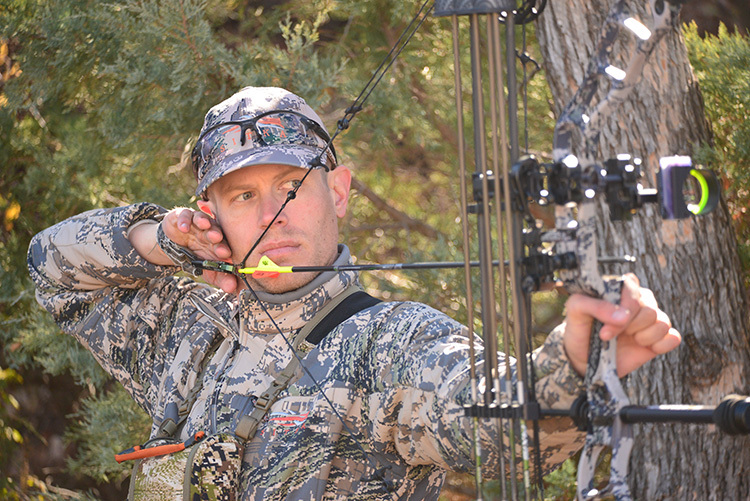 Your peep sight is another variable that needs to be addressed. If it’s tied in and set correctly, your peep should line up perfectly with your sight ring, or your individual sight pins, depending on your personal preference. Getting your peep tied in correctly, tucking a knuckle in behind your jawbone and keeping your nose on the string (if you’re a compound shooter) are three ways to build a consistent anchor. If that’s not enough, you can also add a kisser button to produce a fourth anchor point, which is a good idea if you engage in long-range or very precise shooting sessions. Most modern sights are fitted with a bubble level. 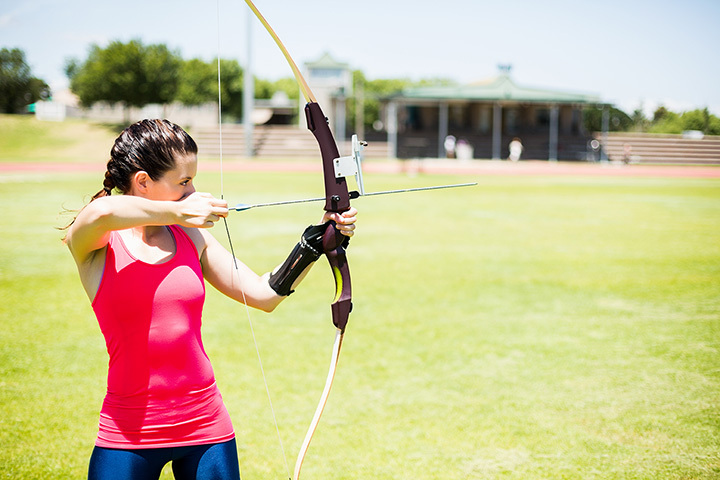 Use it every time you draw to ensure that your form is repeatable and that your bow is being held correctly. Nearly every bow sight on the market comes equipped with a bubble level. This is a simple-yet-highly-effective tool to determine whether you’re holding your bow correctly. If you check your level every time you draw and aim, you’ll essentially ensure that your hold is correct every single time. This is easy enough to do while standing flat-footed on a range, but it becomes something different as soon as you vary your shooting routine. 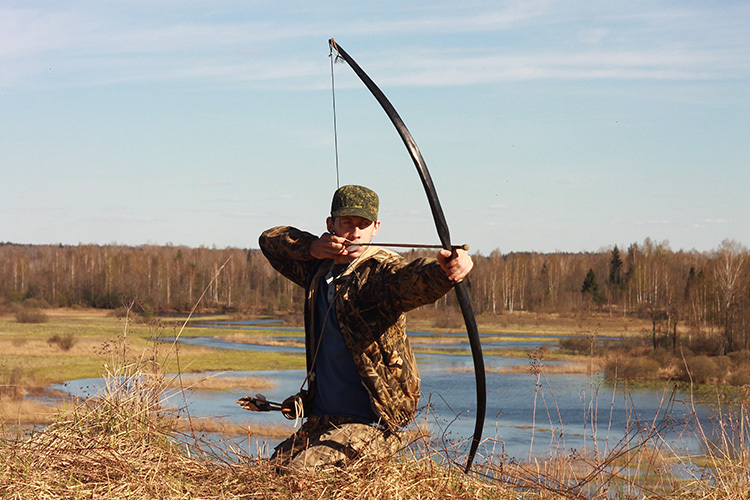 A bow that is canted (even slightly) due to an uphill or downhill shot, or because you’re in a treestand or ground blind, will have a different point of impact than a bow that is being held perfectly level. This matters a lot, and it’s also a great way to build in repeatable, correct form because you can know every single time you draw whether you’re holding your bow the right way. Quick tip: Archers with great eyesight will shoot better with the smaller pins, while anyone who might not have the best eyes will generally be better off with larger pins. How you grip your bow will affect how well you shoot. Strive to have as little hand contact with your grip as possible so that you’ll impart as little torque or influence during the shot as you can. How you hold your bow affects accuracy as well. It’s common for beginning archers to look for bow grips that are larger in size because they feel more comfortable. The problem with this is that a larger grip offers more surface area for you to torque the bow unintentionally with your hand. This is also why compound bow grips have gotten smaller over the years. Even so, most of them come fitted with some type of grip plates on each side, which presumably allow you to hold the bow better. I unscrew mine and toss them, because I want the smallest, barest grip I can get so that I barely have to touch it during the draw cycle. You should, too. You should also consider whether you ever use gloves, or have any tape or rubber on your grip for any reason. Anything that provides stickiness with your grip is bad, because it will allow your bow the chance to resist naturally settling into your hand the way it needs to. Sights come in a wide assortment of configurations ranging from single-pin movers to multi-pin fixed options. Pin size, as well as brightness of pins, also varies throughout available models. Archers tend to either focus on the pin while keeping the target blurry in the background, or on the target with the pin blurry in the foreground. Either way is fine, but if both are blurry or you’re having trouble floating the correct pin on the bulls-eye, you might need to address your sight. Archers with great eyesight will shoot better with the smaller pins, while anyone who might not have the best eyes will generally be better off with larger pins. If you’re having trouble with any part of floating the pin and shooting process, consider that it might be simply due to pin size or brightness that doesn’t jive with your vision. Shooting bows is fun, but it’s far more enjoyable when you’re good at it. If you’re not where you want to be, or simply want to tighten your groups and step back another 10 or 20 yards from your usual range, there are plenty of ways to get there. You just might need to address a few of the common maladies that rob us of our ability to send arrows right where we want them to go, every time we draw.